Clearly, the Shadowhunters editors had Malec and Sizzy fans in mind because those two clips in the promo… whew *fans self* can’t you feel that sexual tension between Magnus (Harry Shum Jr.) and Alec (Matthew Daddario) when they were sparring? Ok Alec, I see you. I see you. Meanwhile, Simon (Alberto Rosende) is desperately trying to find a way to get that awful mark off of his forehead and from what it looks like, Izzy (Emeraude Toubia) can only watch in anguish while he suffers. Urg! There’s just so much going on in this promo. 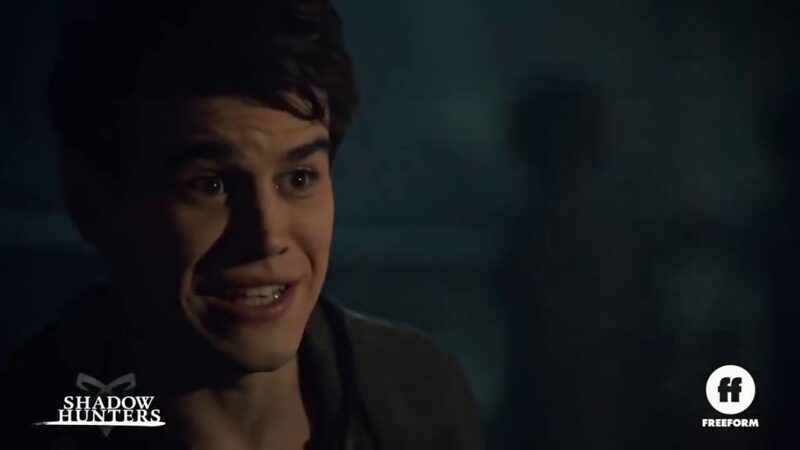 Is the Shadowhunters team trying to send us on a roller coaster of emotions this season? Don’t answer that. Shadowhunters airs every Monday on Freeform at 8pm EST.